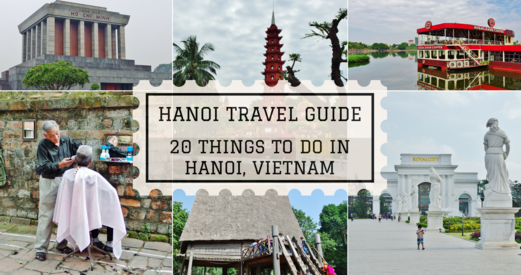 Just when I thought I had summed up my Hanoi travel series with my last Hanoi Food Guide post, I realised I had forgotten to roll out this Hanoi Travel Guide in which I would be sharing 20 Things To Do in Hanoi, Vietnam. So yes, I did up this Hanoi Travel Guide for those of you who are now researching about things to do in Hanoi. If you can, include Ha Long Bay in your itinerary as I’ve heard beautiful things about it. Besides that, whatever I’ve covered here will give you a good idea on what to expect when in Hanoi. Have a good read and I hope these suggestions come in handy for your planning. Vietnamese cuisine is not just about pho and banh mi that most of us are familiar with. It comprises of so many different kinds of ingredients, flavours, cooking methods and even eating styles that I can only describe it in one word, DYNAMIC. Tuck into a delicious bowl of bun cha at the place which Barack Obama made famous last year. Sit by the roadside for a comforting bowl of pork rib & cartilage porridge with dough fritters. Eat a banh mi on the go. Sip on a decadent egg coffee that’s like tiramisu in a cup. You have to do all of these. In fact, there are many more interesting foods to try so make sure you cover as many as you can. 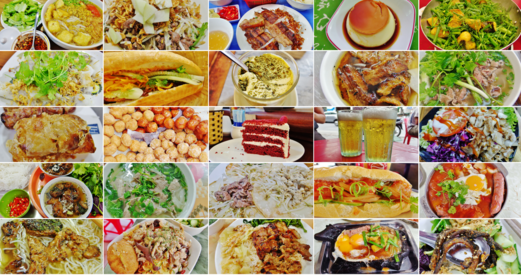 For the best eats and best eating places, check out my Hanoi Food Guide post in which I’ve recommended 22 Must Try Foods in Hanoi. Hanoi’s most iconic & largest indoor market that was built by the French administration in the 19th century. Here, you can find anything and everything from clothing, shoes, bags to dried goods, food gifts, souvenirs & more. Worth a visit when you’re here in Hanoi. Hoan Kiem Lake a.k.a. Lake of the Returned/Restored Sword that is located within Hanoi Old Quarter is a good place to get away from the hustle and bustle of city life (and bad air pollution too). The name of the lake sounds like it’s from some martial arts novel because of a legend behind it. 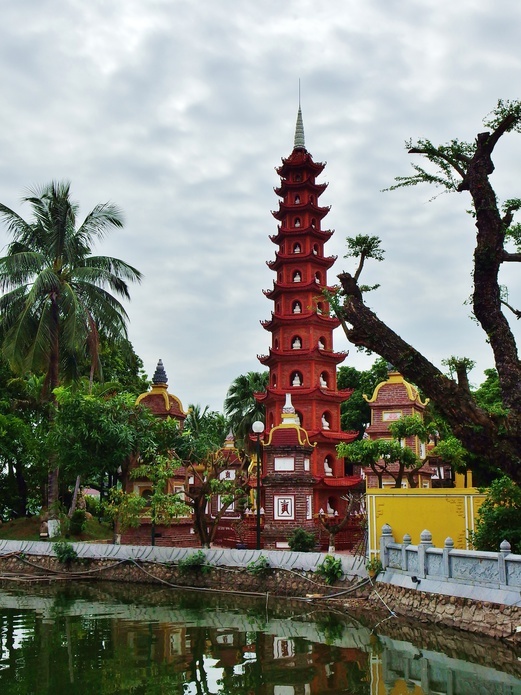 Tran Quoc Pagoda is the oldest Buddhist temple in Hanoi, with a history of more than 1,450 years. Taking a walk to this place is an absolute must-do as you get the chance to admire the spectacular view of the West Lake (a.k.a. Ho Tay) which is the largest freshwater lake in the city. And at the same time, check out the Bo Bia Keo Nha which are lined up by the roadside – it’s a delicious sweet treat. A pretty impressive monument/tomb where the embalmed body of Ho Chi Minh lies. Pity we couldn’t get in because it was under maintenance when we were there. 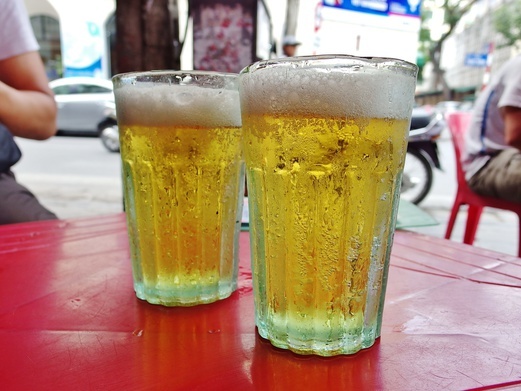 This is one of the must-visit attractions when you come to Hanoi. At the same time, you can also check out the nearby Lenin Park and Presidential Palace. Cafe goers & hoppers would be pleased to know that there are quite a number of hipster cafes in Hanoi that are worth checking out. I highly recommend S’Patisserie that’s located near the southern end of Hoan Kiem Lake in the Old Quarter. 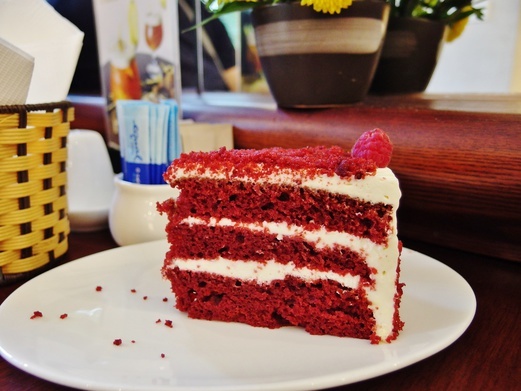 They serve up delicious cakes coupled with great atmosphere and impeccable service. And if you’re looking for a cafe with a beautiful view of a lake, you must check out Highlands Coffee by the Truc Bach Lake. Mesmerising. 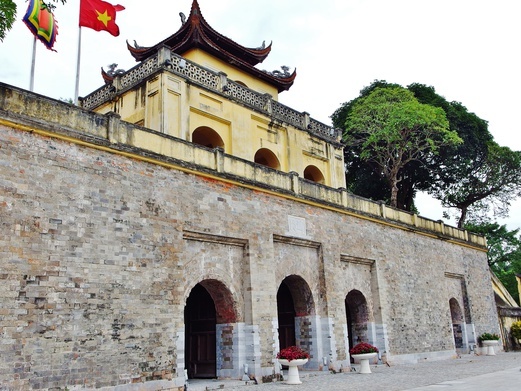 The Imperial Citadel of Thang Long is Hanoi’s version of the Forbidden City, which is also a UNESCO World Heritage Site. While the magnificent palaces no longer exist, we could still see remnants of the past that hold great value of Vietnam’s history and culture. 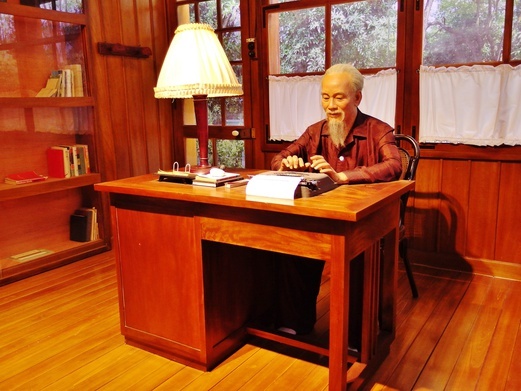 The Ho Chi Minh Museum is a rather interesting museum compared to some others that I’ve visited in the past. It’s like going through a story book so as I walk through every section of the gallery, a new chapter unfolds in a narrative format. 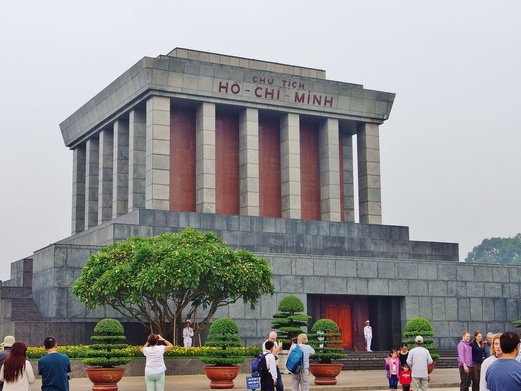 If you’ve always like SEA politics & history and are keen to find out more about Ho Chi Minh & his revolutionary career, this is the place to visit. 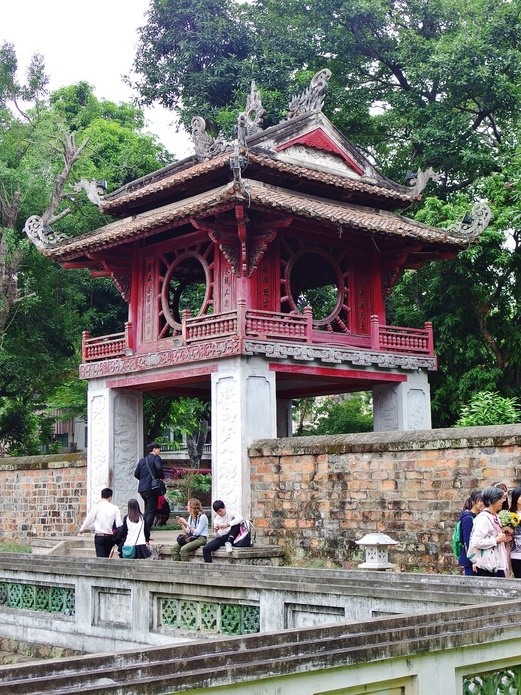 The Temple of Literature is also known as the Temple of Confucius and it’s one of the few temples in Vietnam that’s dedicated to the famous Chinese philosopher, sages and scholars. This temple is very popular with students who come here before their exams to pray, in the hope to pass with flying colours. Who knows, it might give you good career luck too. 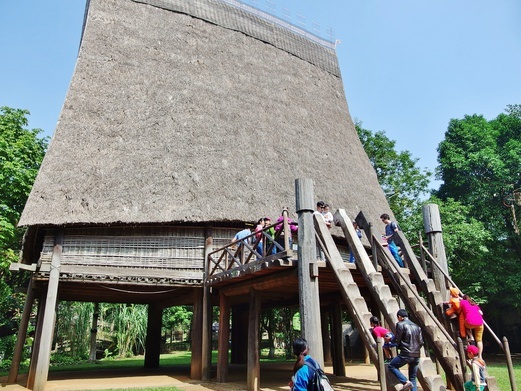 The Vietnam Museum of Ethnology may be quite out of the way but it’s an interesting museum worth travelling to. It houses an indoor collection of various artefacts, art pieces & more and also an outdoor area that features life-size houses in real-life setting. I like the part where you can just climb up those wooden pole steps of the stilt houses to explore what’s inside. Quite an adventure. If you want to know more about the 54 different ethnic groups in Vietnam, this is the place to go. 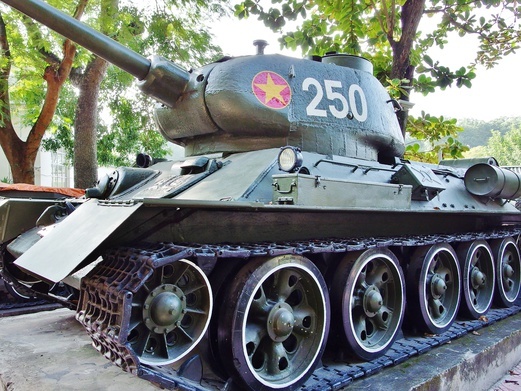 If you want to go up the Flag Tower of Hanoi, you’d have to come to the Vietnam Military History Museum. Entrance fee is 40,000 VND per person and there is an additional fee of 30,000 VND per camera if you want to take pictures. Worth a visit if you want to learn more about the Vietnam War. The exhibits on display include real tanks, warplanes & more. 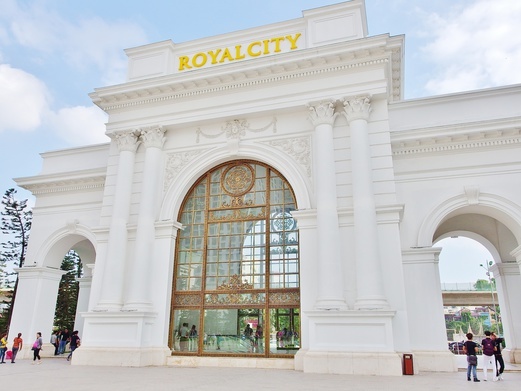 Royal City looked like a township, or rather, a specially-developed area with all amenities in one place. There are residences (several towers), huge atrium with European-style statues & fountain and a massive underground mall that houses 800 retail outlets, a hypermarket, cinema, bowling alley and a food street (with more than 200 international & local restaurants). It is also home to Vietnam’s largest indoor ice-skating rink and Southeast Asia’s biggest rainforest-themed water park. It’s always fun to explore supermarkets when abroad because it’s one of the best ways to learn more about the local food culture. 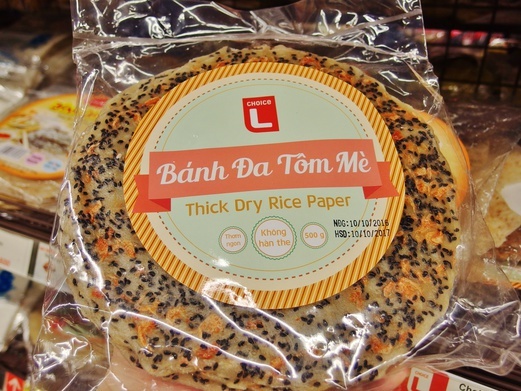 We checked out Lotte Mart, a huge hypermarket in the basement level of Lotte Center Hanoi and discovered 15 food-related items that might be worth spending your pennies on. 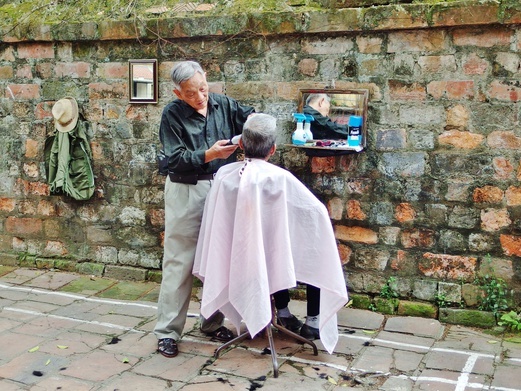 For the guys, if you are adventurous enough and hopefully won’t wail at a hair disaster (nah, that’s not going to happen, lol), try a hair cut in the open by one of these experienced old-time barbers by the roadside. 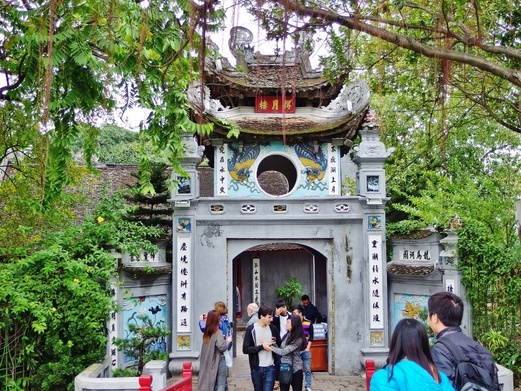 This particular one was located outside Temple of Literature along Van Mieu Street. 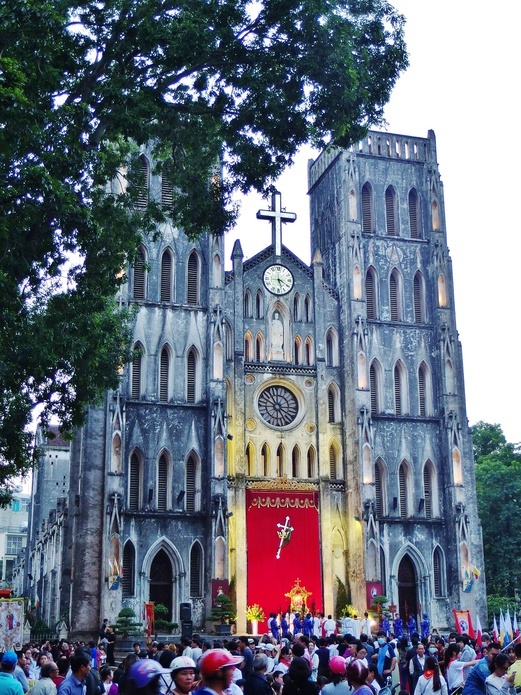 St. Joseph’s Cathedral is the oldest church in Hanoi. It’s a Neo-Gothic church that was built in the late 19th century and if you notice, it bears a striking resemblance to Notre Dame de Paris. This picture was taken during a Sunday evening mass which was conducted right outside the church. Beware of pickpockets though because the place was just packed. 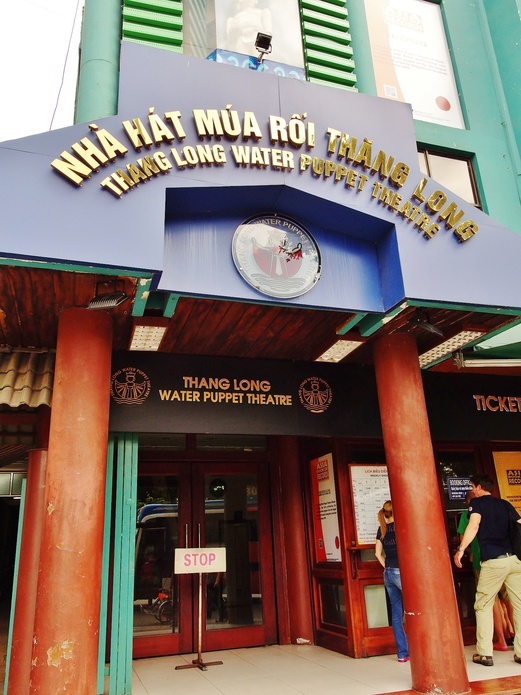 The Thang Long Water Puppet Theatre is the place to go for theatrical water puppetry shows (conducted in Vietnamese). Ticket is priced at 100K VND (SGD6.40) which is very reasonable. I’m not a fan of puppets (find them quite scary) so didn’t go for it but I have heard raving reviews about the show so you might want to check it out if interested. 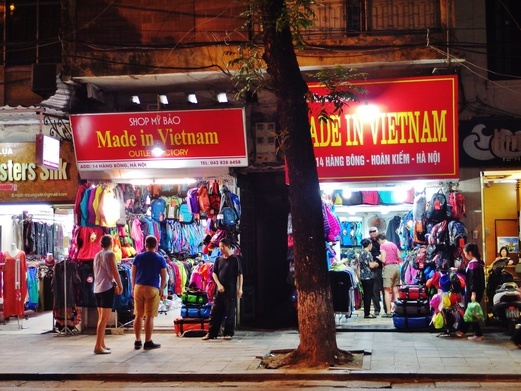 You will notice many of these ‘Made in Vietnam’ shops on almost every street in the Old Quarter. They basically specialise in The North Face apparel and bags. Look exactly like the real stuff so I believe these could be factory rejects or overruns. Prices depend on how new the product is (whether it’s latest model or older). Also, prices differ from shop to shop. We were quoted 800K VND to 1M VND (SGD51-64) for the Router Transit Backpack (which retails at SGD200+) so before you decide on one shop, you may want to walk around and see others first. 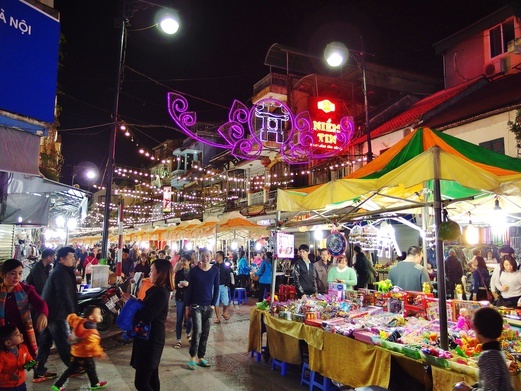 On every Friday, Saturday and Sunday, the whole stretch of road starting from Hang Dao Street to Dong Xuan Market is pedestrianised and transformed into a night market where you can find a plethora of products including S$3 t-shirts and S$6 sunglasses. And you can always negotiate for even lower prices. 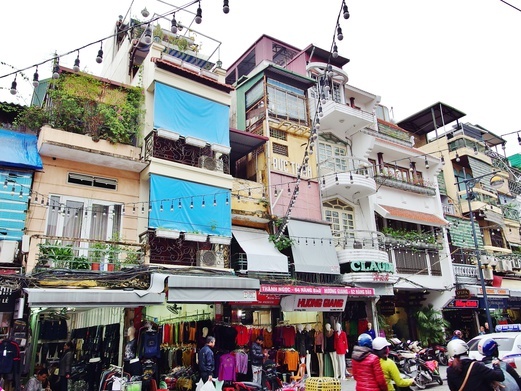 This is probably the best bargain shopping experience in Hanoi so if you’re planning a trip here, make sure your dates overlap a weekend. 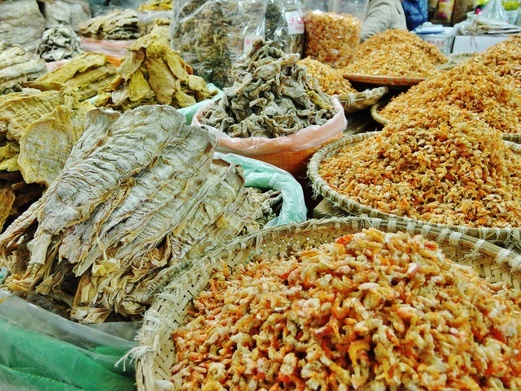 Also read: Things to see in Hanoi – More sights & attractions to explore. For airport transfer service and hotel recommendation, read: Hanoi Transfer Service and Gem Boutique Hotel. 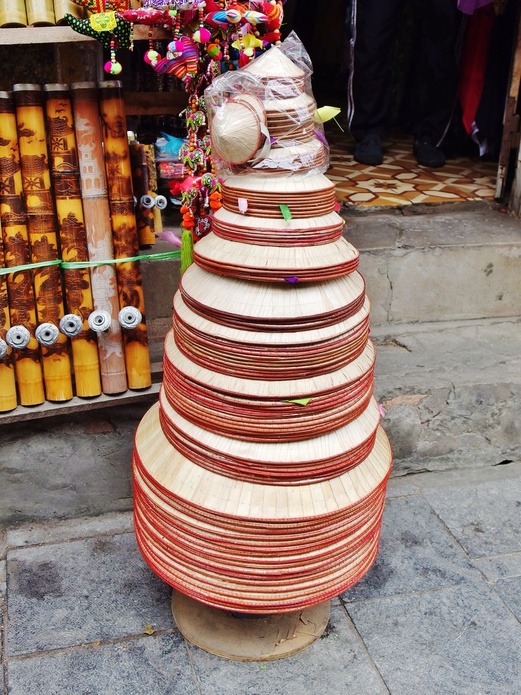 Before you leave Hanoi, don’t forget to buy the iconic conical hat home as a souvenir. It comes in all sizes for juniors and adults too. And yep, this post really concludes my Hanoi trip now. It has been a really enjoyable experience to write about my Hanoi travel bytes & bites because it brings back a lot of fond memories of my holiday and I can’t wait to go back again in the near future. For those who are heading to Hanoi soon, safe travels and take care! Hi~ enjoyed reading ur post & find it very helpful! Im traveling to hanoi in may. Would appreciate if you could also share on how to get the sim card for vietnam? Hi, I’m glad to know my post comes in handy for your holiday planning. 🙂 You can get a SIM card at the airport itself when you exit the arrival hall – there are several telecom companies located on the same row so you can pick either one of them. Alternatively, you can also get it from the Old Quarter if you’re staying around there – it’s very easy to find a SIM card shop. I had recommended a SIM card in my other post here http://www.springtomorrow.com/hanoi-transfer-service-gem-boutique-hotel/ – you might want to check it out. Safe travels!